The La Mesa Chamber of Commerce has announced two special programs for giving during the upcoming holiday season. The first is an annual program to “adopt” homebound seniors. This year, 20 women and four men will be the recipients of collected items such as canned soups and vegetables, lotions, soaps, socks, breakfast cereals, tissues, rice, gifts cards and more. The deadline to drop off donations to the program is Nov. 30. The Chamber is also supporting the families of military personnel living in La Mesa military housing. Toys, diapers and other items that are helpful for young families with children ages 2–13 years old will be collected through Dec. 4. A special Toy Drive party will be held on Dec. 5 at BJ’s Restaurant and Brewhouse from 5:30–7 p.m. that will include drink tickets in exchange for unwrapped toys for chamber members and for non-members who also contribute a $10 to $20 donation and an unwrapped toy. Items for either giving program should be delivered to the chamber office at 8080 La Mesa Blvd., Suite 212, or next door to Fran Smith in suite 214 between 10 a.m. and 4 p.m. Mondays through Fridays. If you need someone to pick up items, call Mary England at 619-251-7730. For more information, visit lamesachamber.com. Over 180 people gathered at Aztec park on Sept. 18 for the UN International Day of Peace. 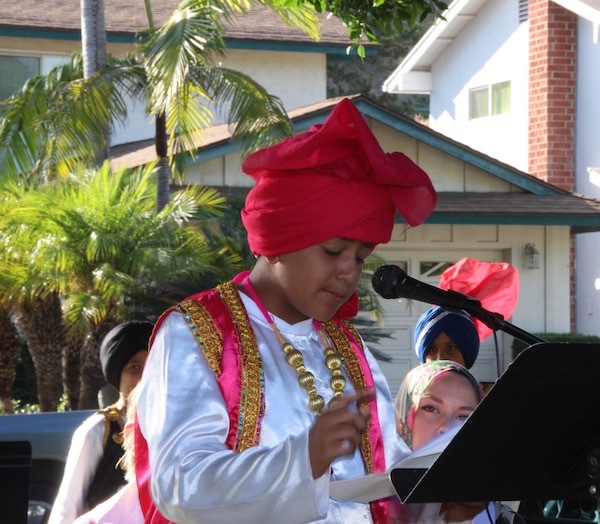 The event was put on by the Interfaith Council of La Mesa and featured speakers from a broad range of religious beliefs, including Buddhism, Hindu, Mormon, Judaism, Muslim, Sikh, Baha’i, Christian and Native American religious beliefs. After Suellen Treadwell of the Interfaith Council welcomed everyone, United Nations Association of the United States of America, San Diego Chapter president Bettina Hausmann read a statement of this year’s theme. City Councilmember Colin Parent gave the proclamation and a Peace Pledge was delivered by Kids for Peace. On Oct. 28, the La Mesa Historical Society (LMHS) will host a roundtable discussion in advance of its annual La Mesa Home Tour which will be held on Nov. 4. 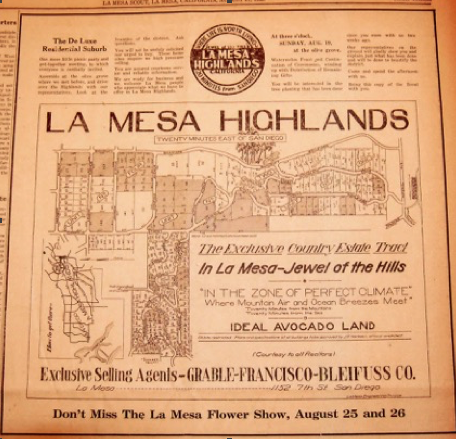 “La Mesa’s ‘Brigadoon’: The History and Architecture of La Mesa Highlands” will discuss this hidden gem neighborhood of La Mesa. LMHS historian Jim Newland will make a presentation on the history of the La Mesa Highlands and its eclectic cultural landscape. Modern San Diego website host and historian Keith York will then present on the midcentury modern legacy of La Mesa, including architect C.J. Paderewski and builder George Eckel, whose projects will be featured in the Nov. 4 home tour. The roundtable discussion will be held Saturday, Oct. 28 from 10 a.m. to noon at the Grossmont Healthcare District Conference Center Auditorium, 9001 Wakarusa St. in La Mesa. The event is free to LMHS members and $5 for non-members. The LMHS Home Tour will be held on Saturday, Nov. 4 from 9 a.m. to 3 p.m. Tickets are $25 to $30 for members and $40 to $45 for non-members. For more information or to purchase tickets, visit lamesahistory.com. The Grossmont Healthcare District (GHD) has awarded a $20,000 grant to the East County Transitional Living Center (ECTLC) to provide transportation to medical and dental appointments for some of the 400 men, women and children who are served daily by ECTLC, an El Cajon-based community services nonprofit. Brown said the GHD funds will be applied towards the purchase of a seven-passenger van to replace an aging 1997 Nissan automobile that has been in use over the past five years. Since 2009, ECTLC has operated a converted hotel on East Main Street in El Cajon as an emergency temporary shelter to homeless families, as well as people needing transitional housing. The hotel has 101 rooms, some of them are assigned for maximum 28-day stays for people once living on the street. Other rooms are allocated for families so they can avoid living in their cars or in the homes of others while they save money for deposits and first-and-last-month’s rent, and use the extra time to transition into self-sustained, independent living. ECTLC also offers family restoration and reunification services along with rehabilitation counseling for single men and women through case managed programs and skills training. 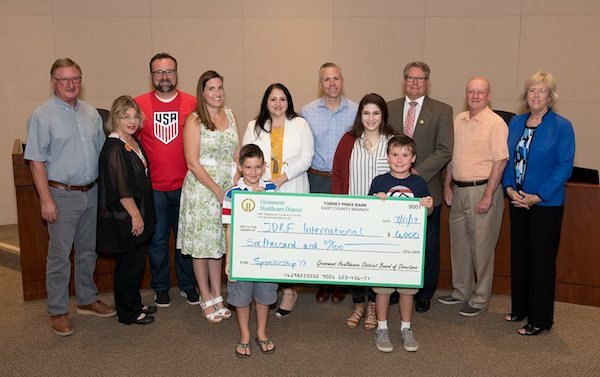 Two large nonprofit organizations focused on improving lives and empowering youth are joining forces to further serve communities and children throughout East County. The East County Family YMCA and Big Brothers and Big Sisters of San Diego County (BBBS of SDC) announced they will partner to provide no-charge YMCA memberships to mentors and children involved in BBBS of SDC’s traditional community-based mentoring program. While Big Brothers Big Sisters pairs over 1,800 youth (“Littles) with 1,800 volunteer mentors (“Bigs”) annually across the county, this new program is designed to specifically serve the 500 Littles and their Bigs who live in the East County area. During their twice-monthly outings, these pairs will have access to all three East County YMCA branches (Rancho San Diego, La Mesa and Santee), including fitness centers, recreational areas and pools, plus take part in YMCA programs and activities. Being part of the YMCA creates another way for mentors and mentees to spend time together and strengthen their relationship. Additionally, it provides a sense of belonging and community that can be a game changer for children facing adversity. Both the YMCA and BBBS of SDC see the partnership as an ideal fit for the two organizations and hope to expand the program in the future. This special membership offer is available immediately for eligible BBBS matches of mentors and children. For more info please contact the BBBS of SDC at 858-536-4900. Sharrows indicate that motorists and bicyclists are to share the travel lane. Sharrows are not separate bike lanes. 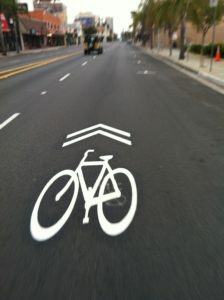 A motorist can drive over the sharrows, but if a bicyclist is nearby, motorists can use the sharrow to judge spacing so motorists and bicyclist can share the lane safely. Public Works crews will install the city’s first sharrows on Hoffman, Violet, King and Marian streets. Funding is provided through a grant from the California Transportation Commission Active Transportation Program (ATP), for the “King Street Project.” The project is nearing completion and will provide safe and accessible bicycle and pedestrian connections on King Street and in the neighborhood around Vista La Mesa Academy in the southwest portion of La Mesa. Other upgrades include sidewalks, high visibility crosswalks, curb radius reductions, bulbouts, and new signage providing improved connectivity to Vista La Mesa Park, King Street Little League Field, Vista La Mesa Academy, and the San Diego County Regional Bikeway.